How Long Can a Rebuilt Transmission Last? 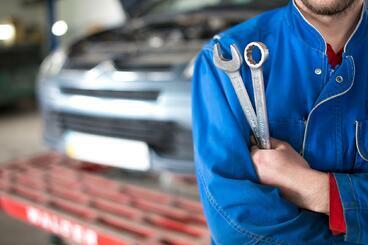 With the right care, any well-made transmission can last for years inside a vehicle. The same goes for the transmissions you rebuild in your shop. All that work of pulling a transmission out of a vehicle, replacing the old or worn parts, and reinstalling into the original vehicle can provide incredible value to your customers. And just because a transmission has broken down in the past, that doesn't mean your shop can't provide long-term results with your rebuilds. But how much can we ask of a rebuilt transmission? How long can we expect it to perform? It all depends on the way you service your rebuild jobs. Today, we'll be discussing how long a rebuilt transmission can potentially last and how to ensure your rebuild jobs will hold up. 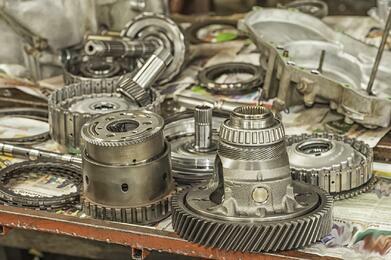 How Long Can You Expect Rebuilt Transmissions to Last? Done properly, rebuilding a transmission should produce results that make the transmission 'like new' again. All worn parts are replaced, seals and soft parts reinstalled, and the same body is placed back in the same vehicle it came from. A good rebuild job should not present any additional costs or labor for your shop in terms of comebacks. However, your warranty should be set in a way that reflects the skill level and efficiency of your technicians and rebuilders. The length of that warranty will vary by shop depending on the amount of time, effort, and care that goes into your service. A great starting benchmark for rebuilt transmission success is the 30,000 to 40,000 mile mark. At the very least, a rebuilt unit should last this long. However, if a rebuilt unit is paid more attention and care in terms of small, regular maintenance jobs, this 'like new' unit could conceivably last as long as any new unit - around 150,000 to 200,000 miles on average. But how do you help ensure that your rebuild jobs continue to perform for your customers long past the minimum expectancy? Perhaps the best way to ensure a rebuilt transmission will last is to pay attention to the quality of the replacement parts you're installing during the service. Cutting corners when it comes to quality or completeness will certainly affect the results of your job. The quality you put into a rebuild will affect its performance on the road, so be sure you're using only quality parts that are all intended for the specific application you're working with (and be sure your techs are up to date on the latest transmission innnovations). Additionally, educating your customers on proper transmission maintenance can also keep them satisfied with your work while also saving them money in the long run. By ensuring your rebuild customers are aware that regular services including fluid, oil, and filter changes, band adjustments, transmission cooler installations can extend the life of their rebuilt transmission, they're able to take smarter care of their vehicles. You should also discourage aggressive driving that causes more wear and tear on the transmission. In summary, a rebuilt transmission can perform in the long run with the right combination of preventative measures and deliberate upkeep.